Home / Blog / What would “Brexit” mean for UK drivers? June 21, 2016, 10:42 a.m. June 21, 2016, 10:42 a.m.
UK voters will make a life changing choice on June 23rd 2016 as they head to the polls to decide Britain’s membership of the European Union. 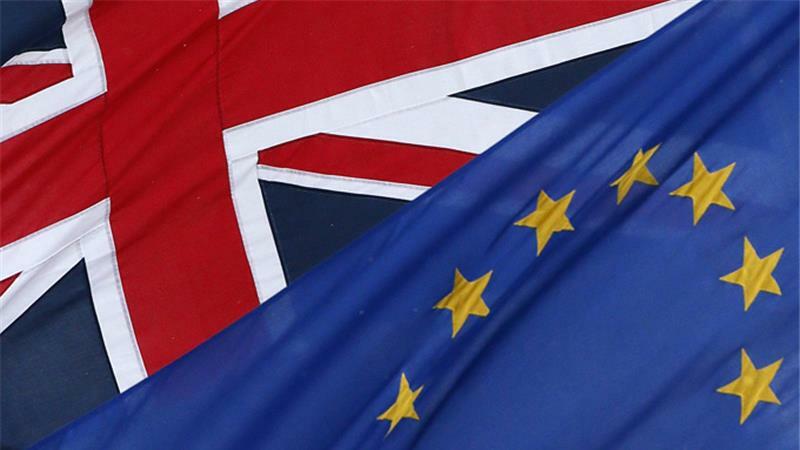 As a part of the 2015 General Elections, Prime Minister David Cameron had promised the European Referendum and since 1975, this is the first time that the citizens of the UK will have a say on Britain in the EU. Brexit stands for the short form of Britain and exit which is a way of saying UK leaving the EU. The following lines enumerate what would Brexit mean for UK. Although much deliberations are taking place around the Brexit listing the advantages and disadvantages of EU membership, the Society of Motor Manufacturers and Traders (SMMT) revealed that more than 75% of it’s members voted against the Brexit with neither of the large auto manufacturing members such as BMW, Audi, Hyundai, Mercedes, Nissan, Kia, Ford, Honda and Peugeot-Citroen being in the remaining 25%. Most of the auto mobile honchos believe that handling a market of 500 million people single handed would spell disaster for the UK Motor Industry. It can threaten exports and jobs and affect consumers in a large scale. Over 40% of the cars manufactured in the UK are exported to the EU marking exports worth GBP 11.8 billion while over 730000 jobs are depended on the automobile industry. The effects of the Brexit will largely befall on the motorists of the UK. Petrol prices will increase by GBP 0.19 and the British Treasury has already predicted that the damage of the Brexit would cost every British Household a surplus of GBP 4300 which will be a severe blow to the country’s economy. Given below are insights so as to what Brexit mean for UK and how the Brexit decision can affect the UK drivers in ten primary areas. With the Brexit, new taxes might be implied on travel businesses which could lead to a surge in travelling expenses. However, this might not pose a threat to the UK motorist as they spend on an average of GBP 20 billion travelling the EU countries. If the UK leaves the EU, the drivers might now need to get their passports stamped at the borders. Similarly driving abroad might not be perceived as an issue as licensing will now fall under the bilateral agreements which are already in place for countries around the EU. However, should Britain exit EU, the UK Nationals who have been living abroad will now be able to hold their current driving license for a year after which they have to apply for a fresh license like the rest of the non EU countries. The Automobile Export Industry in the UK has been rising higher and higher over the past decade and can now pose as one of the biggest threats if Brexit takes place. UK currently has the largest single automobile market in the world with an investment of GBP 8 billion since 2013, with more than 80% of the vehicles manufactured in the UK exported to 100 countries of which a majority lies in the EU. Moreover, 63% of the materials and parts are supplied from the EU. Disruption in this line of trade might take place following Brexit which can strike a huge blow to the Automobile Industry. Additionally, new cars in the UK would henceforth cost more. Much is being said about the fate of the fuel prices post the Brexit. According to both RAC and AA, petrol and diesel prices might not hike more than 2p and 4p per litre respectively. A pound is currently worth $1.44 and one tonne of petrol imported to the UK costs $500. Considering that the current petrol price is 26.2p per litre and the Brexit weakens the worth of the pound by 10 cents, the cost of petrol would come to 28.2p per litre. Alternately, if the worth of the pound strengthens by 10 cents, the UK drivers will pay 2p lesser than the current price. In February 2016, the value of pound came down to it’s lowest value as against the dollar. This happened for the first time in almost seven years and since the value of fuel is in dollars, the fuel prices hiked in the UK. Some experts say that Brexit could usher a permanent devaluation of the pound, maybe as low as 20%. It is well known that there is a documented skill gap in the automobile workforce of UK and in spite of huge funds being poured into upskilling and training the workforce, they still need supplement specialists and experts to keep the country at the epitome of automobile manufacturing. As long as the Brexit does not take place, there will be free movement of these experts across all countries of the EU to train and share best practices which will continue to provide workers, engineers and specialists in the UK to participate in the EU Automobile Collaborative projects. For those who are backing the Brexit claim that the EU migrants are taking away the jobs meant for the people of the UK. However, this point is being debated by the opposition who feels that leaving the EU will strangle business investments in the UK which will anyway reduce job opportunities for the British. The Brexit countdown has already begun and it is only a matter of few days that the world will witness the verdict of the UK citizens so as to whether UK decides to stay in the EU, or quit. Let’s wait and watch what would Brexit mean for UK’s future.